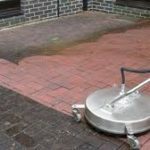 J R Cleaning based in Kent are fully trained, insured and experienced to carry out high pressure cleaning work to the highest industry standards and will only leave your property when you are totally happy with all the jetwashing work carried out. 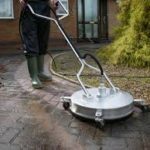 For driveway cleaning we use professional high pressure jet washing machines including a high performance rotary surface cleaner. Our system enables us to efficiently remove surface grime, algae, moss, lichen, weeds and oil stains etc. 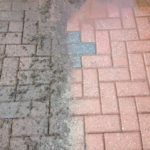 After a thorough cleaning we can also treat the surface with an algaecide/fungicide to inhibit the re-growth of algae and lichen which will keep your driveway or patio cleaner for longer. 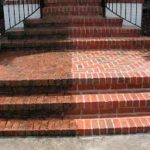 Once your driveway or patio has been professionally cleaned by J R Cleaning , you have the option of having the area cleaned treated with an appropriate sealant to keep your driveway or patio clean for longer.. If you are looking for a professional patio and driveway cleaning company in Kent, get in touch now.